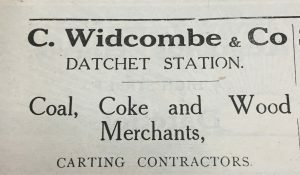 Charles Ingleton Widcombe was born in Datchet in summer 1894 to Alice Mary (née Baigent) and William Harris Widcombe. He was named after his paternal grandfather, Charles, but his middle name came from his mother’s side of the family. Charles’ maternal grandmother was Amelia Ingleton who was born in Brighton, the daughter of Richard Ingleton, a tax officer from the Isle of Sheppey. Charles’ mother, Alice Mary Baigent (1857-1936) was born in Clewer Green. Her parents, Amelia and Edwin Baigent, ran a fruit shop at 31 Thames Street, opposite Windsor Castle next to the theatre, but both died before Charles was born. In late 1884, a year when Datchet flooded, Alice married William Harris “Harry” Widcombe, 1859-1940. The 1891 census shows Harry and Alice living with their daughters, Dorothy Mary and Sarah Constance, at Myrtle Villa, Back Lane, (off Green Lane). Dorothy was born in 1888 and Sarah in 1891, both in Datchet. 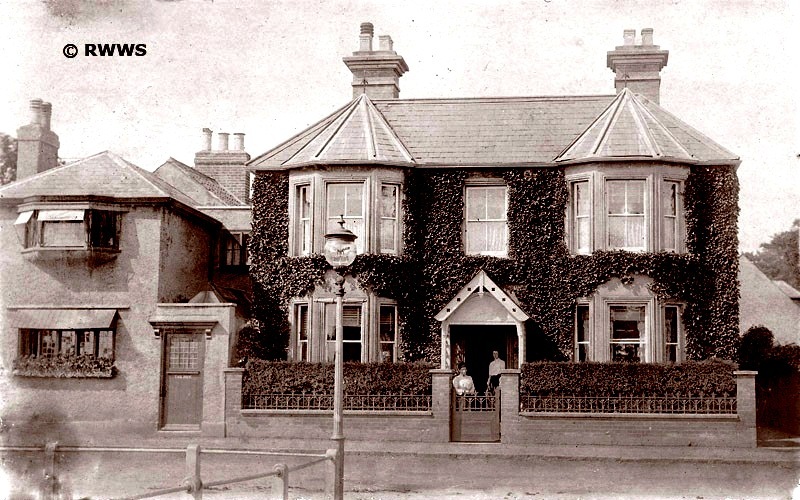 After Harry’s parents died (his mother in 1887 and his father in 1892), the family moved into Clifton Villa and were recorded there in the 1901 and 1911 censuses. Harry was listed as a coal merchant, working on his own account and employing others. Charles was born in 1895, probably at Clifton Villa. 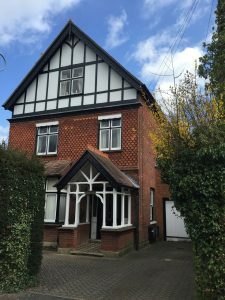 By 1915, the Widcombes had moved to Queensmead, 6 Buccleuch Road. Queensmead was built between 1901 and 1911 although the Widcombes were not the first family to live there. In 1911 it was occupied by a widow, Mrs Lewis. Her census return indicated that the house had 10 rooms, two more than Clifton Villa. Charles was educated at the United Services College in Windsor (known as Imperial Services College after 1911). He was a keen sportsman. He played rugby and football at school and also coached local cricket and football teams in Datchet. The army was a large part of his short life. Nicknamed ‘Brownie’, he was in the cadet force of the College for four years up to 1912. 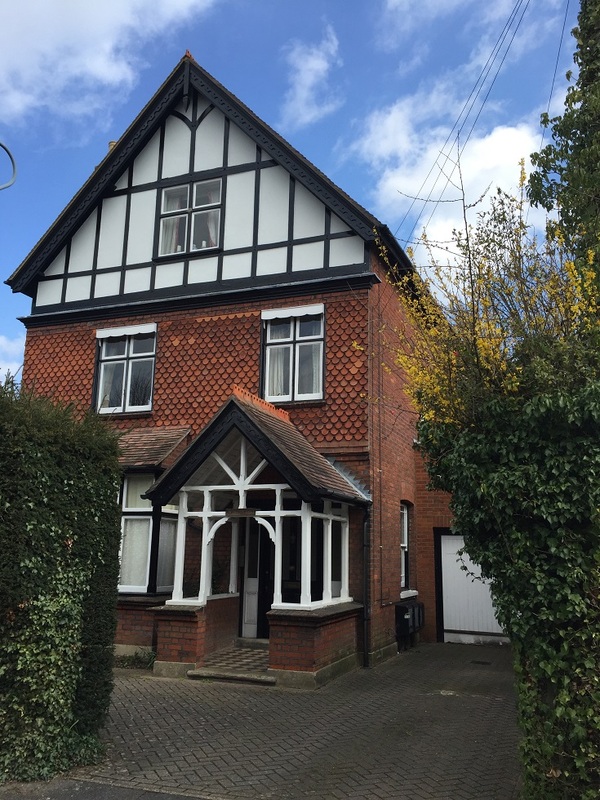 After he left school, he intended to become a chartered surveyor. According to the Buckinghamshire Remembers website, he was a student at the Surveyors Institute. 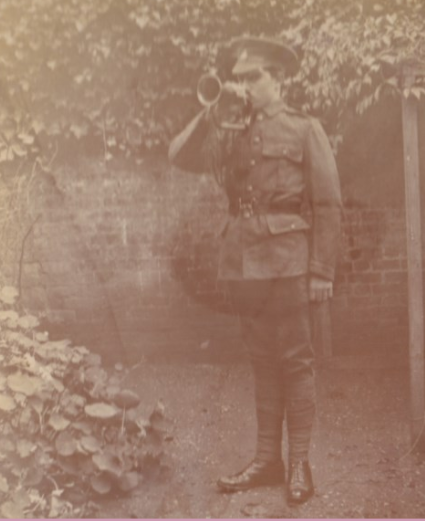 At the outbreak of war, Charles joined the Public Schools Battalion, Middlesex Regiment. 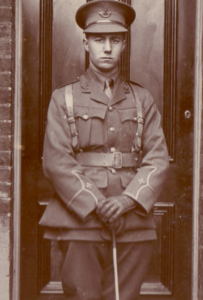 He was listed in the Datchet Roll of Honour in the Windsor & Eton Express on 9 January 1915. Remarkably, a photograph exists of Charles looking down the barrel of a gun, which has been published on the BBC website. In December 1915, Charles was allocated to the ‘Provisional’ Battalion of the OBLI in Mesopotamia (Iraq). Eight officers from the 3rd Battalion of the Regiment, including Charles, left for Mesopotamia in command of a large draft of men for the 2nd Royal West Kent Regiment. These drafts reached Basra on 6 January 1916 and disembarked on the 8th. The History of the 43rd and 52nd (Oxfordshire and Buckinghamshire) Light Infantry, written by Captain J E H Neville, gives the following information about Charles: CI Widcombe, Commissioned from the Public Schools Battalion; to Mesopotamia with draft for the 97th Regiment, December 1915; Attached to Connaught Rangers 12 February 1916; joined 2nd/43rd, 29 February; present at the attack on the Dujaila Redoubt, 8 March; killed in the first attack on Sannaiyat, 6 April 1916. ‘Do you see that line of khaki,’ he asked, ‘about 500 yards from the enemy?’ ‘Yes. Why haven’t they dug themselves in?’ He explained that they were our dead! Of the 13 officers who went into action, five were killed and eight wounded. Of the 266 non-commissioned officers and men who went into action, 51 were killed, 170 wounded and 14 missing; a total of 235, leaving 31 survivors. Of the 14 missing, 11 were later reported killed; of the wounded ten at least died of their wounds and probably more. 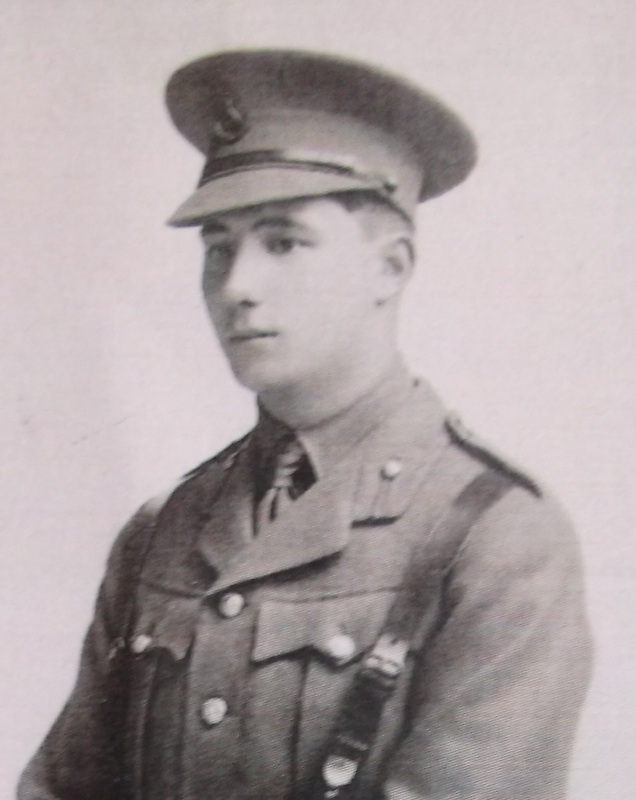 According to information in the archives of the Soldiers of Oxfordshire Museum, Charles’s last words before he was killed were ‘What matters who dies, while England lives’, echoing Rudyard Kipling. (We learn later from his sister’s scrapbook that Charles had satirised Kipling’s poem If, which helps to put this quote in context.) 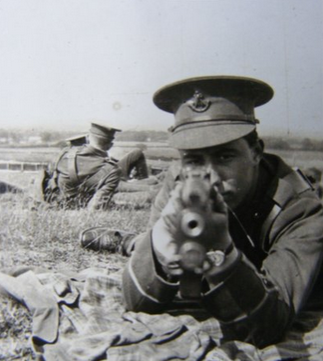 He was speaking to his friend Lieutenant H D H Radford; the pair were in action together. Radford, one of the few who survived, said that Charles’s death was instantaneous; he was shot through the head. Radford buried him where he fell but his grave was never found. It is believed it was washed away by the River Tigris. 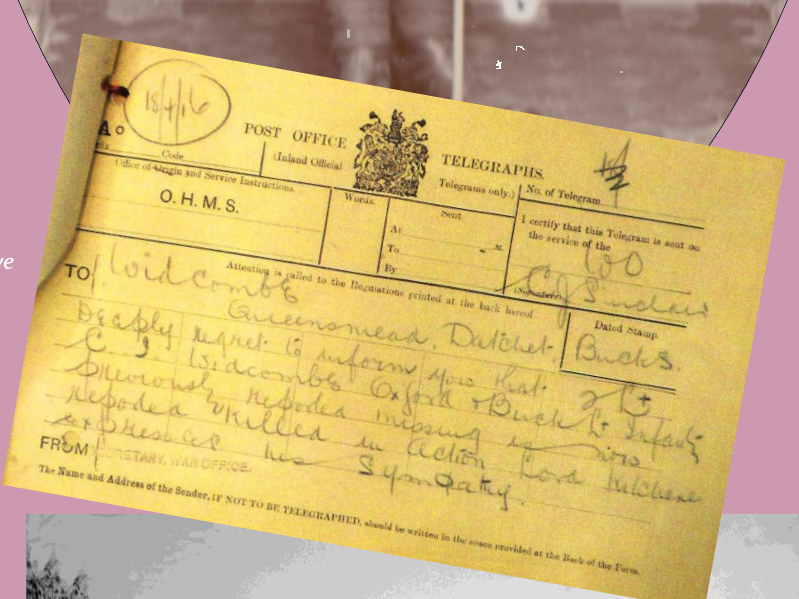 The Soldiers of Oxfordshire Museum has the telegram the Widcombes received, also dated 15 April 1916. 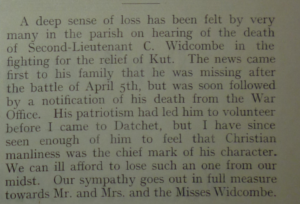 It reads: Deeply regret to inform you that 2Lt C I Widcombe Oxford and Buck Lt Infantry previously reported missing is now recorded killed in action. 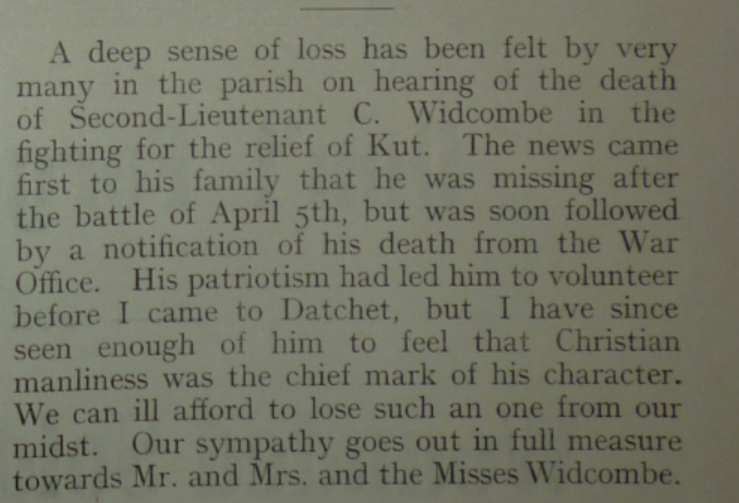 Lord Kitchener expresses his sympathy. The telegram was in a 2016 exhibition at The Glass Tank, Oxford Brookes University. 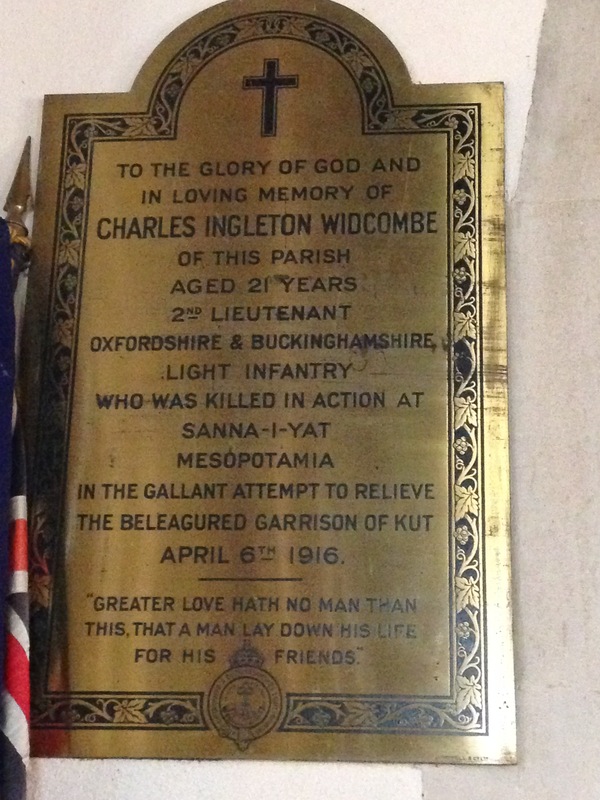 Charles is remembered in St Mary’s Church. 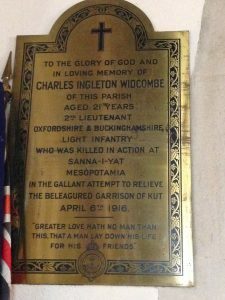 There is a brass plaque which reads: To the Glory of God and in loving memory of Charles Ingleton Widcombe of this Parish, aged 21 years, 2nd Lieutenant, Oxfordshire and Buckinghamshire Light Infantry, who was killed in action at Sanna-i-yat Mesopotamia in the gallant attempt to relieve the beleaguered garrison of Kut, April 6th 1916. Greater love hath no man than this, that a man lay down his life for his friends. The Commonwealth War Graves Commission website informs us: ‘Until 1997 the Basra Memorial was located on the main quay of the naval dockyard at Maqil, on the west bank of the Shatt-al-Arab, about 8kms north of Basra. Because of the sensitivity of the site, the Memorial was moved by presidential decree. The move, carried out by the authorities in Iraq, involved a considerable amount of manpower, transport costs and sheer engineering on their part, and the Memorial has been re-erected in its entirety. The Basra Memorial is now located 32kms along the road to Nasiriyah, in the middle of what was a major battleground during the first Gulf War. Charles’ family received his Victory and British War Medals in September 1921. The records say he was ineligible for the 1914-15 Star and the General Service Medal. 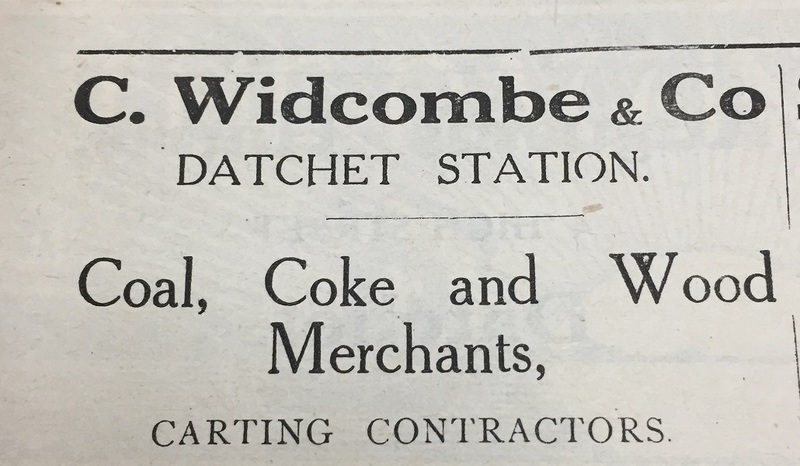 Coal merchants, Widcombe & Co, were still trading at Datchet Railway station in 1931 and were listed in that year’s Kelly’s Directory. Charles’ mother died in 1936 and his father in 1940. Another Datchet soldier, William Poole was a prisoner of war at Kut. He is also remembered on Datchet’s War Memorial. 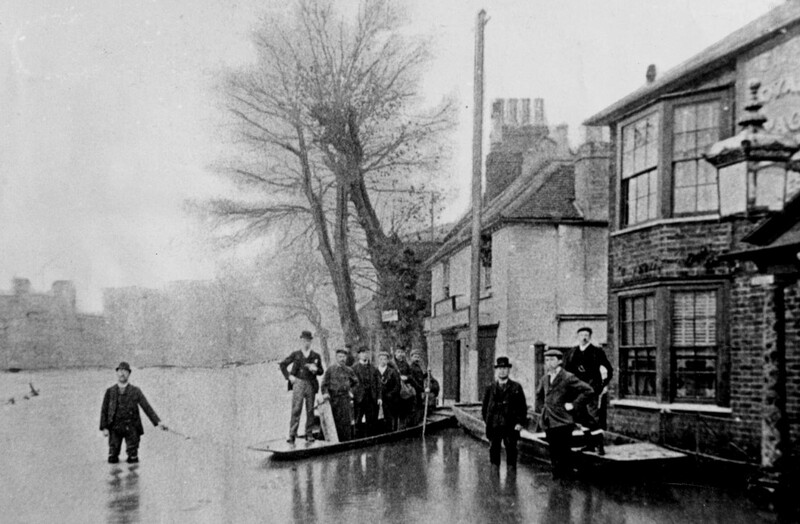 In the photograph at the top of the page, of Harry during the 1884 floods, his neighbour in Horton Road, James Hale Pearce, is in a bowler hat, third from the right. 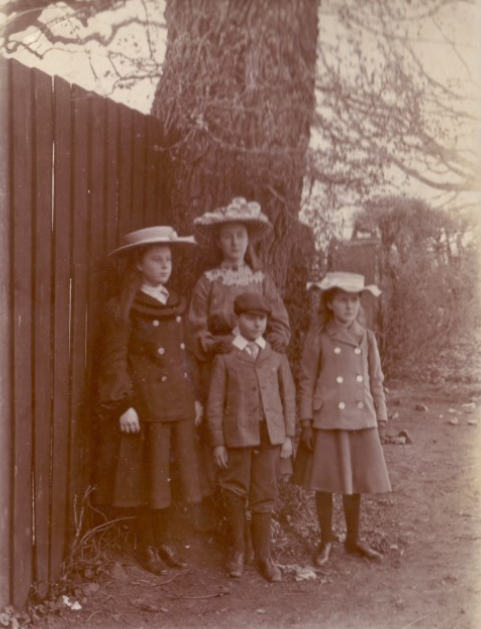 James’s son, James Hale Pearce, the second, also moved to Buccleuch Road and was a near neighbour of the Widcombes. He lost his son, James Hale Pearce, the third, in WWI. His son was a close friend of Charles’s cousin, Arthur Widcombe, who was also killed.